The seal of Henry de Percy (1301). Note the word “SIGILLUM” around the edge. Source: Wikimedia/Creative Commons. George RR Martin recommends some history books on his website, so I decided to order a few. The Dictionary of Heraldry arrived the other day. I opened it up, and low and behold, the first few pages are filled with the seals of England’s oldest noble families: the Percys, de Veres, Stranges, and others. These seals date back to the first centuries after the Norman conquest. The signet ring of Queen Aregund from ca 570AD. Now housed at the Louvre. Image: Jastow on Wikimedia/Creative Commons. What’s most interesting about these early seals is that they include the word “SIGILLUM” on them. Sigillum is the Latin word for seal, signet (as in the ring used to impress an image into wax), and emblem. Typically today, we refer to the emblems nobles used on badges as devices. However, it seems just as likely that nobles used a word originating from Latin like sigil or sigillum to describe their emblem. Sigil is a great choice for the heraldic devices in Game of Thrones; sigil is old, mysterious, evocative. 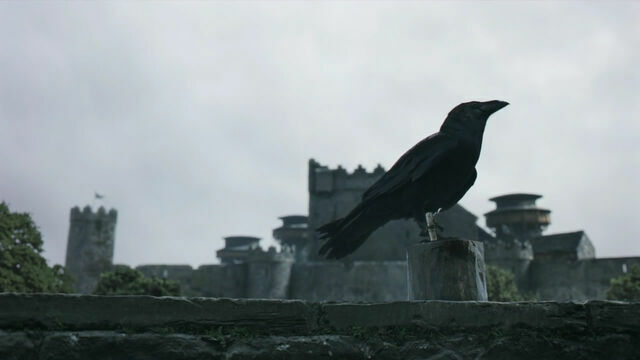 To learn more about how sigils in Game of Thrones compare to sigils in the real world, check out Sigils in Game of Thrones, Medieval Marketing. In addition to the Osprey military history series, Martin also recommends the books listed below. I’ve added a few comments about my impressions of them. THE MEDIEVAL SOLDIER Gerry Embleton & John Howe. This provides a very clear, simple introduction into the life of the medieval solider. It is definitely targeted at re-enactors, so for better or for worse it has lots of modern color photos. A DISTANT MIRROR Barbara Tuchman. I already had this book, and it is excellent. I believe it was quite revered when it was released. LIFE IN A MEDIEVAL CASTLE and LIFE IN A MEDIEVAL CITY, both by Joseph and Frances Gies. Oldies but goodies. THE DICTIONARY OF HERALDRY by Joseph Foster. This looks like a fantastic reference, and I suspect if you study it you really get a sense of the patterns that arose. Right now, however, I’m just trying to get a basic understanding of heraldry, which is surprisingly complex. If you’re interested in heraldry or even just love the sigils on Game of Thrones, I *strongly* recommend The Complete Book of Heraldry by Stephen Slater. I love this book! It is extremely clear, concise, and every single glossy page has multiple colorful images. It is recently out of print, so you can get it very cheaply on Amazon or somewhere like that (e.g., ~$2.65 on Amazon + shipping). You can also see some additional seals at this book, Some Feudal Lords and Their Seals, which is on openlibrary.org. GRRM seems to have deliberately chosen to use the ideas of mediaeval heraldry and knighthood, but make subtle changes (e.g. Ser, instead of Sir). Heraldry allowed a knight encased in a helm, and his followers, to be recognised. Heraldry had definite rules: there were two metals: argent (silver, usually shown as white) and or (gold, usually shown as yellow) and six colours: sable (black), red (gules), azure (blue), vert (green), tenné (tawny) and purpure (purple), although the last two were extremely rare. The rule was metal on colour, or vice-versa, to give contrast, so that the coat of arms could be recognised at a distance. The Percy arms (a blue lion on yellow) would be described as “or, a lion rampant azure”. Many of George’s sigils break these rules (which he is entitled to – it’s his world! ), but some, such as the Mormont black bear on green, would be indecipherable at a distance, which rather negates their purpose. Lords also had livery colours and badges, worn by their retainers: confusingly, the Percies had livery colours of red and black and a badge of a white crescent moon. Thanks for this great contribution – and your other comments which I haven’t had a chance to comment on yet. You bring up a really interesting point. In the second last episode of GoT, there was a scene where Tyrion and Pod were identifying sigils as House Martell approached. I mean, you’re absolutely right – it is GRRM’s world, so he can do anything he wants, but I wonder why he created sigils that break those conventions? Maybe he thought it would be easier for people to visualize them in their minds? Also, are heraldry and livery distinct? I always thought they were intertwined, but I’m quite new to the subject to be honest. Heraldry identified a person. Members of the same immediate family would have the same coat of arms, with a small object for difference. The eldest son would have a label (like a capital E, with the points downward), other sons a crescent, etc. Livery was used to identify the servants and retainers of a noble, so was one or two colours with a simple badge. Livery used not only the colours and metals, but also the stains: tawny (orange), murray (purplish red) and russet (brown). The liveries of Edward IV, Richard III and George of Clarence were murray and blue. s, there were also the furs: ermine (black stoat tails on white), ermines (white on black), ermines (black on gold) and pean (gold on black). Vair was a tessellation of shield like shapes in blue and white. For heraldry in the Wars of the Roses, you can’t beat the publications by the Lance and Longbow Society (lanceandlongbow.com). PS. “stained ….. s” should read “stains”. Curse you, predictive text. Picking a very teeny tiny nit…ermine modified to black on gold should be “erminois”. I think that you accidentally typed “ermines” twice. Colour on colour arms are called “puzzle arms”. While they are not accepted in English or Scottish heraldry, they existed in continental heraldry, and were most common in the Germanies. How Much Violence is Too Much on Game of Thrones?